If you own a Datsun 240Z, 260Z, or 280Z and plan to restore it yourself, you will need the right information, tips and secrets to bring your car back to like-new condition. In this DIY guide, author Wick Humble discusses the pluses and minuses of a frame-up or staged restoration. 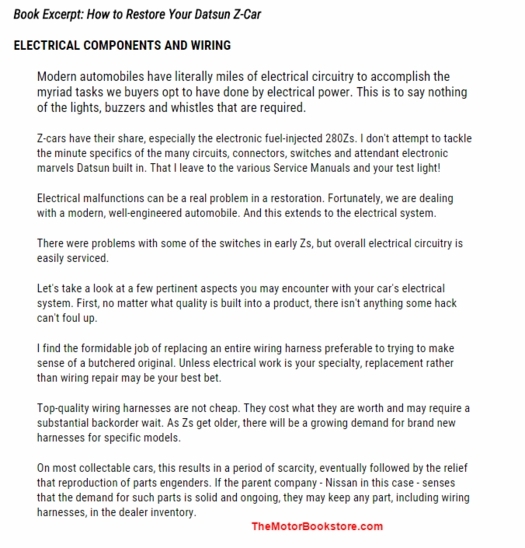 He starts by helping you decide whether or not you should restore your Z in the first place! If the answer is yes, he then discusses all the tools you'll need to do the job safely and right. 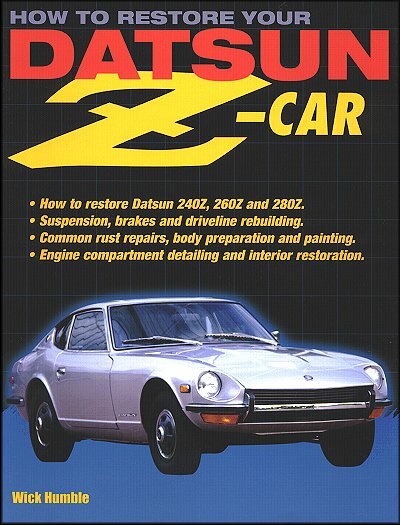 Packed with easy-to-understand text instructions and more than 500 photos and drawings, How to Restore Your Datsun Z-Car will allow you to return your Z-car to its original glory! Ask a question about How to Restore Your Datsun Z-Car.